The Strategic Tourism Plan is a result of an assignment from the Houston First Corporation (HFC), in light of a strategic alignment with the Greater Houston Convention and Visitors Bureau. 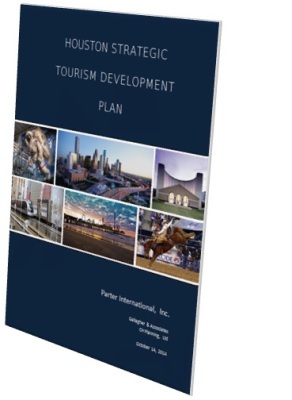 Parter International’s task was to analyze the current tourism environment by assessing and evaluating leisure tourism activities, resources, and potential for Houston and its surrounding region. 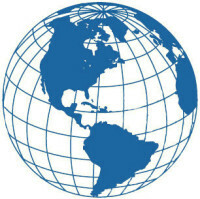 The 29-county region includes such cities as Houston, Beaumont, College Station, Huntsville, Victoria, and Galveston. Houston is one of the fastest growing cities in America, with a vibrant local economy. The Houston area is “hot” when it comes to job and business growth. The combination of low real estate costs, high purchasing power, low corporate taxes, and a relaxed regulatory environment makes Houston an ideal place to work or to start a business. Houstonians are rightfully proud of the growth, health, and success of the region. The area weathered the national economic downturn well and does not have to play “catch-up” with its infrastructure and services as many other cities must. An inspiring civic pride and “can- do” attitude is reflected in nearly all of the interviews conducted by the Parter International team. However, despite a wide array of things to do, Houston and the region underperform as a leisure tourist destination in comparison to cities/regions of similar size and importance and Houston is not recognized as a premier vacation destination. Product Attractions and Infrastructure - What improvements, enhancements and additions need to be made with respect to the region’s attractions and tourism infrastructure to make it a competitive and successful leisure tourism destination? Marketing - What strategies need to be identified and what activities need to be undertaken to enhance the region’s marketing efforts in order to attract significantly more leisure tourists? Organization - What organizational structure can most effectively and efficiently accomplish the objective of making the region a competitive leisure destination? Making leisure tourism more of a priority, expanding the promotion of leisure tourism, continuing to enhance the area’s attractions and tourism infrastructure, and increasing the quality of visitor experience can provide an extraordinary opportunity for increased tax revenues, further diversification of the local economy, and improved media coverage and word of mouth references regarding Houston and the region as a vacation destination.